This status quo is certainly fun, but it has to change soon or things are going to get stale really quickly. SSSS.Gridman is an interesting series in that it only has 1 cour, and yet it seems to be dilly dallying and taking its time with some things that I personally think could use some quick addressing. The show is still enjoyable, sure, but the sense of excitement and momentum that we seemed to have the last few weeks was definitely lost a bit here. I sure hope SSSS.Gridman has more of a gameplan than some of TRIGGER’s other recent works, because if nothing else, this week had me starting to wonder if I perhaps may have judged the show too positively, too soon. Look, I get it, I’m a bit jaded after the previous shows I’ve seen from TRIGGER. That’s certainly part of the package when it comes to me covering this show, especially since my last post’s biggest compliment was that this show felt very un-TRIGGER like. That certainly still holds true, but at the same time I just can’t say anything more about this episode other than it was just… fine. The fanservice was okay. I’m not a huge fan of fanservice in general, but I get that the show had its beach episode this week, and so it kind of had to shove the fanservice in the audience’s face a bit. Similarly, the events that took place this week were also just… Okay. The big headline was that Akane basically confirmed her suspicions regarding Yuta this week, and even Yuta started to get suspicious himself. See, while I enjoy the cat and mouse game that Akane and Yuta are playing with one another, I think my major gripe with the episode is that despite some minor progress on this front, nothing really happened. 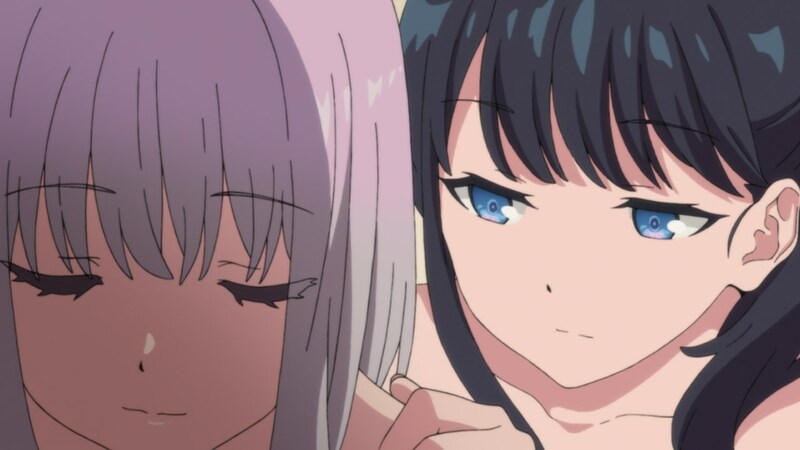 Akane always had a good idea that Yuta was involved with Gridman, and that hasn’t exactly changed all that much. 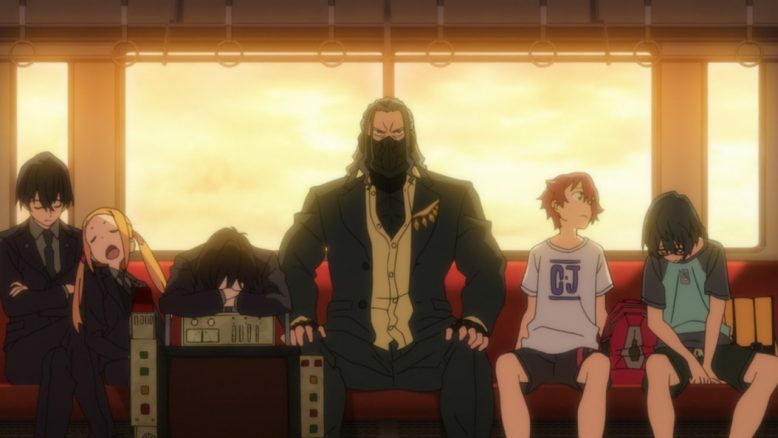 Yuta and the rest of the Gridman Alliance, on the other hand, are very much still in the dark. Its been like that for 5 episodes now, and I think the show needs to just stop teasing us and bring out its big gun. Yuta and Akane need to face off against one another, or at the very least someone in the cast has to. Maybe its Rikka, I dunno, I guess I just want something exciting to happen. The regular pattern of Akane throwing a Kaiju into the mix, and Yuta barely being able to transform and fight it off, is getting old. 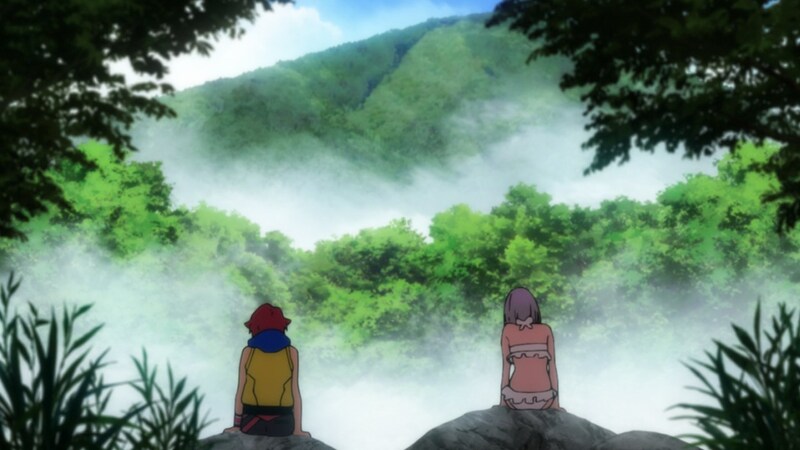 Yuta still pining for Rikka and not really getting anywhere is also pretty much where we were last week. In the grand scheme of things, I’d say this episode is almost completely filler, and while Akane does drop some hints about the larger plot with some of her lines here and there, nothing all too major is in this episode. Which, honestly, is something this show can only do a handful of times. We’ve got strike one, and any more is going to bring this show into dangerous territory. Yes, its fine, its decent, but in a season like this one, that simply isn’t enough. 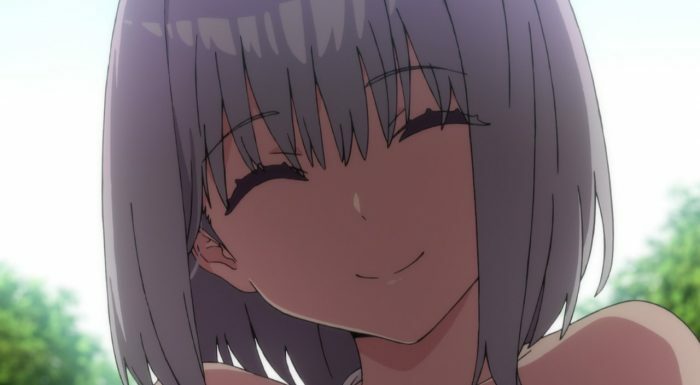 Something exciting has to happen every week, or SSSS.Gridman is going to lose its audience to a plethora of other shows that are just as much if not more engaging. And yes, I realize that this post is probably a bit more negative than this show deserves, but that just shows how competitive and difficult this season really is for Anime in general. I’m hoping we get something more deep than just a bunch of fanservice shots and another forgettable Kaiju battle next week. I’m really hoping SSSS.Gridman takes its foot off the brake and puts it back on the gas, because I think its when the show is moving at a decent pace, that its at its best.